Four Berth With Electric Pop-Up Roof With Luxurious Double Bed with Integral Led Reading Lights, Electric Sliding Rear Leather Seats That Convert To Double Bed, Two Ring Burner, Cool Box, Aircraft Lighting Throughout and Changeable Ambient Mood Lighting, A Fantastic Factory Marco Polo Conversion with Special Order Colour Coded Awning and Outside Shower Connection and Rear Curtains which Hang Off the Tailgate, Fully Equipped With Tables And Chairs And Are The Height Of Luxury Power Doors + Tailgate, Cruise Control, Lane Departure Warning, Blind Spot Assist, Command Satellite Navigation, Front And Rear Park Distance Control + Reverse Camera, Climate Control Throughout, Bluetooth Connectivity, Detachable Tow Bar + Electrics Small Enough To Use A Daily Transport But Plush And Roomy Enough To Holiday Wherever The Mood Takes You, Over Two Years Mercedes Warranty Left and as it's Probuced by Mercedes that Means Everything is Covered and is Not to be Compared with Independent Conversions. 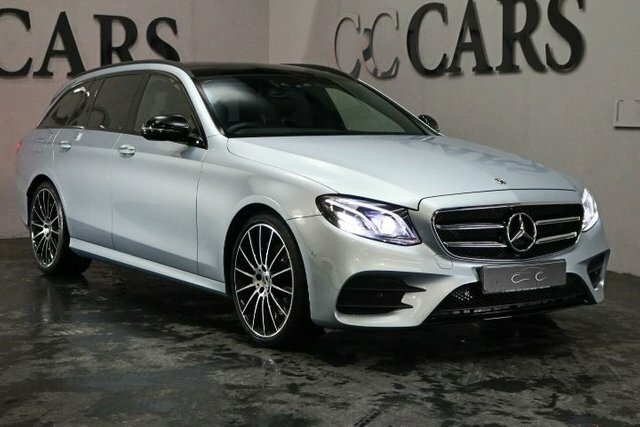 A Luxuriously Appointed Executive Estate with Impressive Performance, AMG Sport Styling and a Practical 5 Seat Interior with Room for the Whole Family and their Luggage. 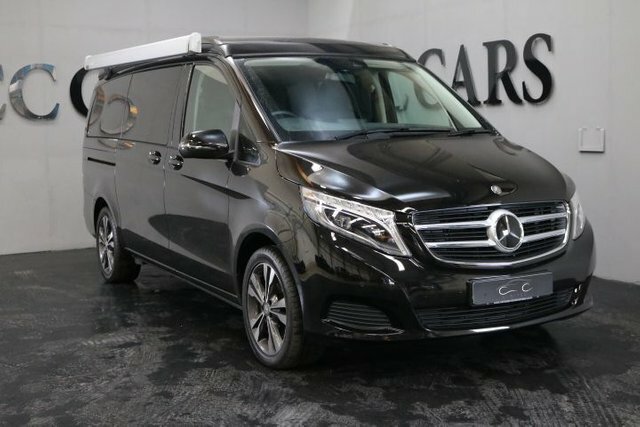 This High-End E220D is the Premium Plus Model with Impressive Tech and a Stunning Spacious Interior Including Black Ash Wood Inlays, Ambient Lighting and a Glass Panoramic Roof. Finished in Silver with 20 Inch Multispoke Alloys and Full Black Leather Heated Contour Memory Seats with Contrast Stitch. Technology Includes Command HDD Satellite Navigation, Burmeister Premium Sound, Active Park Assist with Front and Rear Park Distance Control and Reversing Camera, Voice Control, Bluetooth Connectivity, DAB Radio, Cruise Control, Digital Dual Zone Climate Control, AMG Leather Multi Function Steering Wheel, Automatic Dynamic LED Headlights, Active Cornering Function, High Beam Assist and Power Wash. 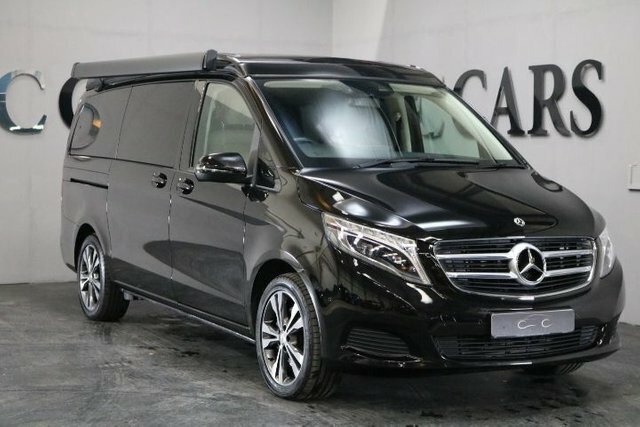 There's a Huge amount of Space with over 1800 Litres of Capacity with the Rear Seats Folded Flat Plus a Remote Power Tailgate. 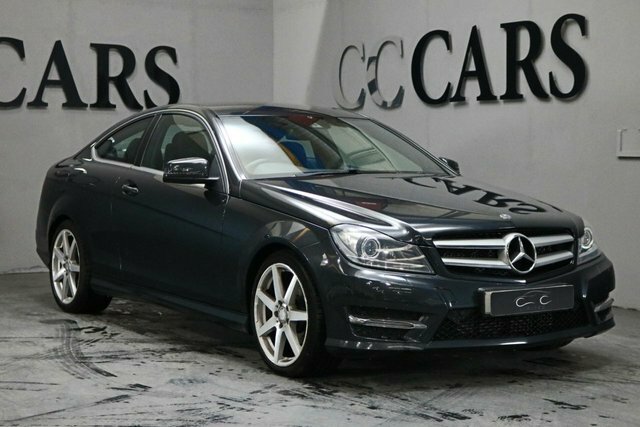 If you want to buy a used Mercedes-Benz motor in Stockport, come to CC Cars Limited! Here, we have a varied range of Mercedes-Benzs in stock with something to please each and every motorist. For a prestige car, look no further than Mercedes-Benz's range Mercedes-Benz's range. All of the manufacturer's vehicles are made to the best standard with the most progressive technology. The stunning S-Class is a prominent choice of vehicle amongst the wealthy and famous, or if you desire a vehicle which offers both reliability and style, the GLC is for you! 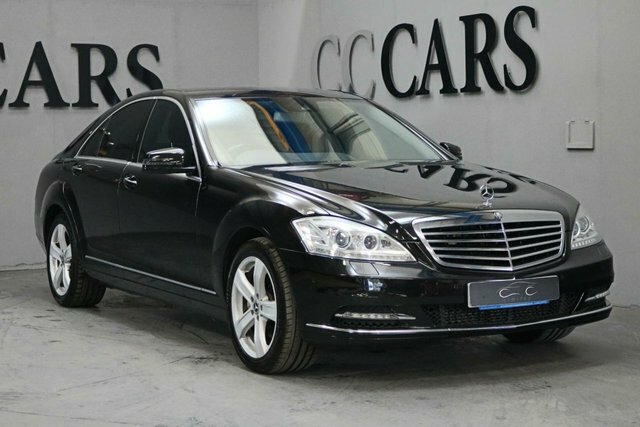 You are sure to find the perfect Mercedes-Benz car, and where better to get it than CC Cars Limited? We take pride in our commitment to customer service and offering great value. Get in touch via our website or visit CC Cars Limited in person for more information; our site is based only a short drive away from Stockport.